Free Shipping Included! 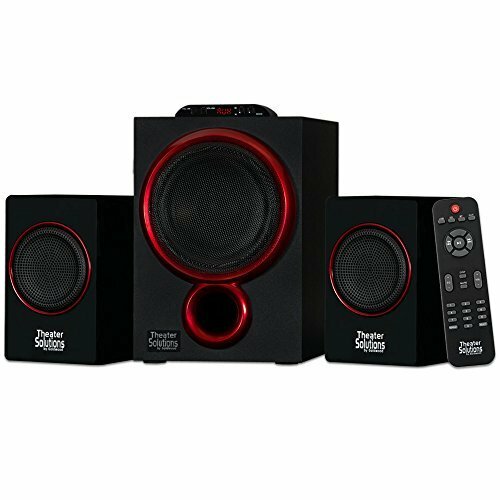 Theater Solutions by Goldwood Bluetooth 2.1 Speaker System 2.1-Channel Home Theater Speaker System, Black (TS212) by Theater Solutions at Nebula Fia. MPN: TS212. Hurry! Limited time offer. Offer valid only while supplies last. This Theater Solutions by Goldwood Bluetooth 2.1 speaker system is a compact, high-definition home theater system that's simple to set up and use.